"(3) Notice and Submission Requirements for New Teams, Relocation of Existing Teams and Reactivation of Dormant Teams Any league that desires to permit expansion of new teams in such league or reactivation of any dormant team, and any independent team that desires to form as a new team, must notify the USA Hockey Junior Council Chair, USA Hockey Junior Council Staff liaison and the President of the USA Hockey Affiliate with jurisdiction over the geographic area in which the new team(s) would be located and, in the case of the relocation of a team from one Affiliate to another Affiliate, the USA Hockey Affiliate with jurisdiction over the geographic area from which the team is relocating. Such notification shall be in writing and shall be delivered to each such person on or before November 15 prior to the season in which the new team or reactivated team desires to participate in a league or play as an independent team." This rule is in effect for the USHL, NAHL and all Tier III leagues. There is no discrimination and the new date of November 15th of the season prior to the one in which a team wishes to play in, is a great change from the December 15th previously imposed. A month make a difference. Forcing people to really get their organization together as early as possible is a step in the right direction. The relocation deadline is April 1st. So if you have a team that is struggling at the gate, the months of January, February and early March will be what probably determines your teams fate. USHL – No expansion in 2013. The USHL has unoficialy targeted expansion for 2014. Lewiston Maine. TJHN has reported several stories concerning Lewiston and its viability as a USHL market. Glenns Falls New York. The Adirondack Phantoms will be leaving Glenns Falls and moving back to Pillidelphia in the spring of 2013. The Glenns Falls Civic Center seats just over 4800 fans. The arena, and upstate NY area are perfect for the USHL. Elimira New York. The ECHL Jackals and their arena situation are a fiasco. Attendance is not enough to support the ECHL budget, and ownership has burrned the community. Fans want and are calling for a change. Erie PA. Yes, the Otters are once again shopping themselves around. OHL Team Moving To Hamilton? Marion Indiana. While no new progress has been reported on the construction of a new arena, the geographic fit for the USHL cant be denied. Wheeling West Virginia. Rumors are strong that the ECHL Nailers Ownership is tired of throwing money away. Other locations being mentioned are Middlesex Maine with a new arena being built. Long Island New York and the Long Island Royals very successful program. There are also rumors of several EJHL teams looking at expanding their arena’s or building new arenas in order to be considered for expansion. Smart money see’s the USHL going to the east coast sooner rather than later, and that money see’s the stranglehold on players that the EJHL has enjoyed ending rather soon. NAHL – Expansion in 2013. The North American Hockey League is rumored to have sent in six applications for expansion, relocation or reactivation of dormant franchises. Laredo Texas. This was nearly a done deal at the start of the 2012 season. Virtually a lock for 2013. Rio Grande Texas. Like Laredo a virtual lock for 2013. Both cities have seen the success in other Texas cities that the NAHL is experiencing, and these non traditional hockey markets should do very well. Chicago Illinois. With the Hitmen not playing this year, the NAHL has been looking for someone to go into this market.While competing against the AHL Wolves and NHL Blackhawks is not something many would consider doing, there has been at least one person kicking the tires. Danbury Conecticut. The success of the Federal Hockey League in Danbury has not gone un-noticed. Danbury has always been a great hockey market going back to the days of the old United Hockey League. Great fan and sponsor support would make Danbury an ideal location for expansion in the eastern United States. Travel would be a minor concern as the FHL travel the team currently endures would make the NAHL travel schedule look like childs play in comparison. As many as six other cities in non traditional markets have also been rumored to be looking at the NAHL. Several former Central Hockey League buildings are looking for new tenants and could be viable markets. More than a few of the USHL and NAHL locations mentioned will be looking at both leagues as options in the future. As both eye Eastern expansion, Lewiston Maine may be the first battle ground. The Owner of the Collisee in Lewiston also partly owns or has a stake in the NAHL’s Michigan Warriors. The Warriors have continued to struggle at the gate this season, and are struggling in the standings with a young team this year. The travel to and from Lewiston would be brutal without other expansion partners in either league. If Danbury makes the move to the NAHL, this could tip the scales for Lewiston and other eastern markets. The USHL has been conservative in expanding its brand which has raised the USHL level of play. Will Lewiston hold out for another year? Although Glenns Falls and Elmira would probably be considered by both leagues, both arenas would likely be too large for the NAHL. Glanns Falls in particular would likely be out as fans would be skeptical of the level of play after having the AHL for the last few years. The USHL likely has a better opportunity of selling fans on the NHL player development concept with more USHL players making the NHL every year. Then again, there are always owners who think they can make a square peg fit into a round hole. Tier III – Expansion in 2013. This is where things get interesting. Nearly every league in the country is looking to expand by at least two or more teams. The NA3HL is rumored to be looking at no less than six new teams for 2013. A West Coast division is something that many have been looking for, while the South East is also a potential market. The potential for the Na3HL to absorb teams from as many as three leagues to expand their brand is quite possible. At least one new application is expected in Michigan. The MNJHL has been looking at four cities for expansion according to one source. While looking though, ownership groups to support those expansion opportunities are not easy to find in the Mid West. 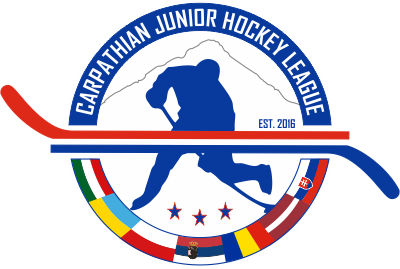 The EJHL and Empire Leagues have been relatively quiet this year in terms of expansion. Rumors would suggest a loss of teams rather than expansion. The AJHL and Met League are not expected to expand. The big move in Tier III this season may be the merger, or affiliation of several teams from multiple leagues deciding that their current situations are not advantageous to them any longer. As many as twenty teams may be looking to form a "super league" at the Tier III level that would cover a very large portion of the country. USA Hockey has an April 1st deadline for teams to make it known what their intentions are for next season. While moves from league to league are expected, resistance from several leagues is also expected. Keeping in mind that these leagues will have a say in what their current members are allowed to do is critical. AAU Expansion. 2013 will be a critical year for the MWJHL. The WSHL is on solid ground within their footprint. The MWJHL has had its issues in its first year. Loosing teams prior to starting the season and loosing Dayton mid season have not been good for the league. Several teams have continued to play though, and they are certainly looking to expand. The Mid Western market has a lot of arenas that would take teams, and any teams denied by USA Hockey in the Mid West are likely to go to to the MWJHL. Some current USA Hockey teams have also been rumored to be looking at the MWJHL as an option should expansion be denied in order to save on travel costs. The WSHL expanded to twenty two teams this year, and it does not seem to have hurt the league in level of play, or in its ability to recruit players. While the WSHL has been aggressive in the past, it is not expected that they will look to add more than two teams this year. While it is possible that some current USA Hockey teams may follow the Southern Oregon Spartans and jump to the WSHL, a large expansion does not appear to be planned. Surely though the MWJHL and WSHL have gained ground in their respective footprints and AAU is being seen by many as a more viable option for play every year. Featuring many local players has helped teams at the gate and with sposorship sales. If the MWJHL can become more stable with leadership through stronger owners they may become a viable option for smaller markets in the Mid West. The WSHL may end up being the dominant league in the Western United States if the NA3HL and Norpac do not gain ground in that area. USA Hockey allows the local affiliate, meaning the State level governing body, to either support or object to any Junior expansion. The affiliates of USAH have in recent years looked to protect Midget and High School hockey programs from junior teams taking players that could otherwise play in those programs. This year will be a critical year for those affiliates having input on USAH expansion teams. While the intention of protecting Midget and High School programs is a great one, they must balance that intention carefully. Objecting to USAH junior expansion will undoubtably open the door to more AAU expansion. This is particularly true in the Mid West. The MWJHL has a majority of its teams in Michigan. Keeping in mind that there are at least a half dozen markets in Michigan alone that could support Tier III hockey, the Michigan Amateur Hockey Association will have to be careful if there are USAH expansion applications for Michigan. Denying Tier III expansion in Michigan will likely lead to the MWJHL adding no less than six teams in this state alone. Keeping in mind that those AAU programs would not be bound to leave Midget and High School players alone until they age out, would likely result in AAU teams taking more than a few of those players. By virtue of the denial MAHA could in fact damage those teams in which they look to protect. Illinois is also seen as another ripe target for MWJHL expansion. With so many players available, the Illinois market will likely become a battle ground between USAH and AAU for expansion. Though the MWJHL lost the Kankakee Kingfish, the Kankakee market is perfect for Tier III if the right operator is found. Chicago has the arenas and the volume of players to support more than one or two Tier III expansion teams. Wisconsin though smaller in player numbers has the facilities available for expansion. Madison will eventually house a Tier III team and there is no question that there are enough players available. The local affiliate in Wisconsin though is likely to object to Madison when looking to protect the Tier 1 Elite Madison Capitols team. Like Michigan though, this may open the floodgates to other Wisconsin markets for the MWJHL. The NOJHL and SIJHL are Hockey Canada sanctioned leagues. 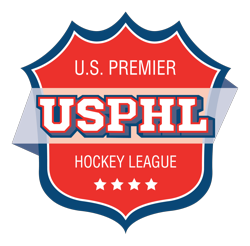 While the SIJHL does have teams in the United States those teams must apply for dual santioning every year, there is potential for SIJHL expansion in the US through absorbing some current Tier III teams. Hockey Canada does not restrict Tier II leagues from charging players to play. The charges are generally lower than those of Tier III USA Hockey leagues, so the potential for a strong operator is there. The NOJHL lost the Soo Eagles to the NAHL this past summer. Hockey Canada recently denied the Eagles and their former cross border rival Sault Thunderbirds in the NOJHL the ability to play an exhibition schedule. The Eagles NOJHL fanchise, while dormant is still in good standing and could be sold to a group looking to place the team in a Michigan market. Marquette Michigan and a few cities in the Northern Lower Penninsula have recently been rumored to be interested. While Marquette is a great hockey city, the travel alone would limit any teams success financially. The NOJHL also has to find a solution for the franchise in North Bay Ontario. With the OHL moving to North Bay next season, the NOJHL would be wise to not try to compete with the OHL. Could North Bay purchase the Eagles NOJHL franchise? To be sure it is going to be a very interesting few months. Local USA Hockey affiliates have thirty days to respond in support or to request denial of expansion within their state. December 15th would be the date for those responses. After that, it will be up to the Junior Council and they will meet in Orlando Florida in January.